The CARE Village in Rotorua is a completely unique way of approaching dementia care in New Zealand, and a first for the Asia Pacific region. The way that aged care and dementia care facilities are designed has undergone significant change over the last decade. Home-like environments are now the standard of care that many residents expect and a number of overseas developments have attempted to redefine the experience of living in an aged care or dementia care environment. Based on concepts introduced at the De Hogeweyk village in the Netherlands, the design of the CARE Village offers residents a lifestyle reminiscent of their lives before moving into a care facility. Set at the edge of Lake Rotorua, the design of the CARE Village provides a strong connection to the lake and adjacent reserve while maintaining a safe environment for those that use the space. Residents will be housed in a series of 13 homes bordering the village. Each home has been designed to function as a household, with no more than seven occupants. To give residents a sense of freedom, the heart of the village has been designed to resemble a New Zealand town centre. Typical New Zealand streetscapes will connect the homes and feature road signs, bench seating, post boxes, bus stops and letterboxes. 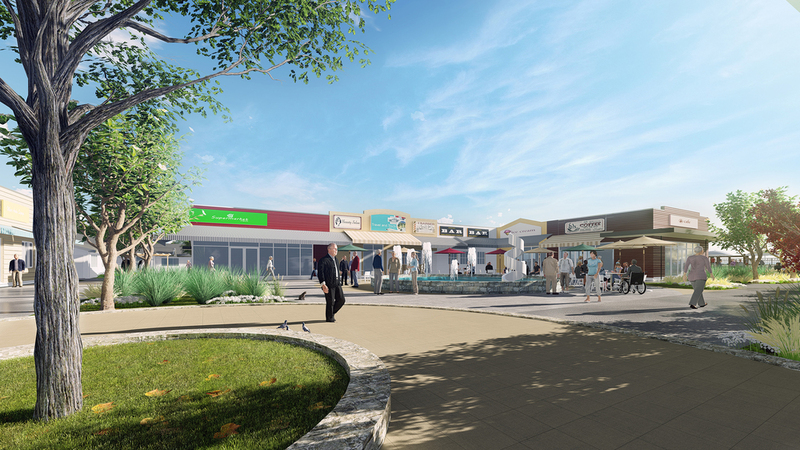 The internal community village will incorporate a supermarket, hairdresser, town square and club rooms. A community centre on the site will be accessible by members of the public, giving residents at the Village the opportunity to socialise with people outside of the facility. Adapting the original design concept, used in the Netherlands, to a New Zealand context has required a strong and collaborative relationship between the design team and the client.